Antioch has always been a city of openness, dialogue and bold initiative. It was converted to Jesus Christ by the preachings of certain of His disciples and the believers were strengthened in their faith, thanks to the labors of the apostles Paul and Barnabas. The apostle Peter himself, the head of the Christian Church, was its bishop until he set out for Rome. Subsequently, the church of Antioch proposed and extended its territory, finally becoming one of the great original patriarchates, namely Rome, Constantinople, Alexandria, Antioch and Jerusalem. Another division affected the Church of Antioch, leaving three groups of Christians, the Syriacs, the Maronites and the Melkites. This division has continued down to the present day. The Church of Antioch has originally been one Church encompassing entire Asia and the East, but finally became several churches. The Maronites are those Christians who gathered around a certain priest by the name of Maron and adopted his pattern of life. Maron left the city and made his adobe on a mountain, intending thereby to leave behind the theological strife and to worship God in solitude. But in his retreat, Maron found that his true vocation was to live with others, so he resumed his parish duties and set about teaching the true doctrine. His disciples increased in number and they began to call themselves Maronites after their teacher. Maron died in the year 410, but his disciples carried on his mission. In 451 at the Council of Chalcedon, they held to the clear teaching that Christ was both God and man, having two natures, one divine and one human. Subsequently, the Maronites were loyal defenders of the decrees of the council. The upshot was that the opponents of Chalcedon showed themselves to be bitter enemies of the Maronites, who started moving to Lebanon in successive waves after 350 of them, had been martyred. Near the end of the fifth century of the Christian era, the inhabitants of Mount Lebanon had been converted by the disciples of St. Maron and had become Maronites themselves. They welcomed their brethren arriving from Antioch and the two groups, now integrated, pursued their mission together. When the Arabs finally dominated the area, and any regular contact with the Patriarchate of Constantinople became impossible, the Maronites had to appoint their own Patriarch in 687, Saint John-Maron. As Christians went forth from Jerusalem, they encountered different traditions, cultures, customs and languages. Soon the Church became a communion of Churches united in love with each other, looking to the See of Peter in Rome as the first among them all. The Gospel of Christ has reached the four corners of the world. The Catholic Church, comprising of twenty-one Eastern Churches and one Western Church, is a communion of Churches, with the Pope as the visible head, “gathered in the one spirit, breathing as though with two lungs – of the East and of the West – and burning with the Love of Christ in one heart – having two ventricles” (Sacri Canones; Pope John Paul II). One of the Eastern Catholic Churches is the Maronite Church. She has Her own hierarchy composed of a Patriarch who is Her father and head, and over forty Bishops who shepherd the many Eparchies (Dioceses) in Lebanon, the Middle East and throughout the world. First and foremost Maronites are Antiochene – where Christ’s followers “were called Christians for the first time” (Acts 11:26). Maronites share a historical, liturgical and spiritual heritage with all the other Catholic and Orthodox Antiochene Churches. Maronites are also heirs of Syriac cultural and religious heritage, whose language, poetry, and hymnody were the means used to express the mystery that God is beyond all descriptions yet has come close to us in Christ. Third, the Maronite Church is Patriarchal and Monastic. Saint Maroun was a hermit-priest. The first Maronites were monks, priests and laity associated with the monasteries of Saint Maroun in the 5th – 8th centuries. 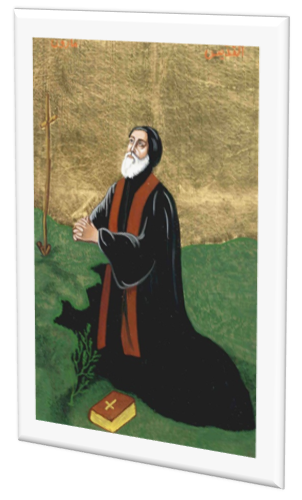 Her first Patriarch, Saint John Maroun, was chosen from among the monks. Maronites have a cherished history known for an ascetical life of sacrifice and devotion. Click here to view a presentation of the history of the Maronite church.